Why should the potato chip get all the glory? 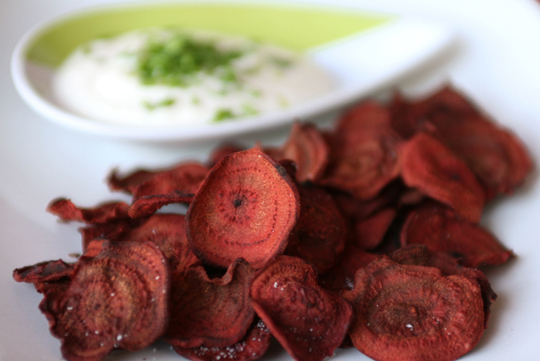 There are lots of other veggies that work well in chip format - baking them intensifies the colours and flavours, making them even more delicious. Most veggies will work - all you need is a little olive oil, salt, pepper and seasonings for a great go-to healthy snack for your family. Tightwad particularly loves dehydrated tomato chips. Get your mandolin out of retirement and see these delicious recipes for inspiration!